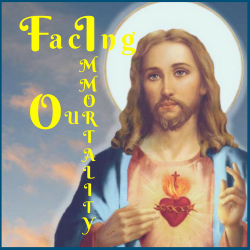 Musings Of A Missionary In The Modern World, is a blog written by Sr. Anne Marie Walsh, SOLT. Here is a heartfelt excerpt from a post written on September 8, 2016. 33 years ago I came to Our Lady’s Society. 28 years ago today I professed my first vows. My heart is full of gratitude especially to Our Lady, who came to find me in the darkness I lived in, and restore me to our Heavenly Father, Jesus and the Holy Spirit. Every good gift comes from the Father of lights. His greatest gift is His only begotten Son Jesus. My vocation of espousal with Jesus, comes from the Father, and is lived out in the Holy Spirit. Who can really even speak of such profound things let alone consider themselves worthy. Experientially I know well our Founder’s insight into the way God works. He chooses the last, the lowest and the least. To read Sr. Anne Marie’s blog, link here.